I had the pleasure of photographing the glamourous burlesque beauty Victoria Vermouth on her recent trip to Toronto. Victoria is an Ottawa sensation mixing her Vintage aesthetic with a Rock n Roll edge. This gal can not only dance but she can sing too! You can catch Victoria Vermouth at the end of October at the Montreal Burlesque Festival. 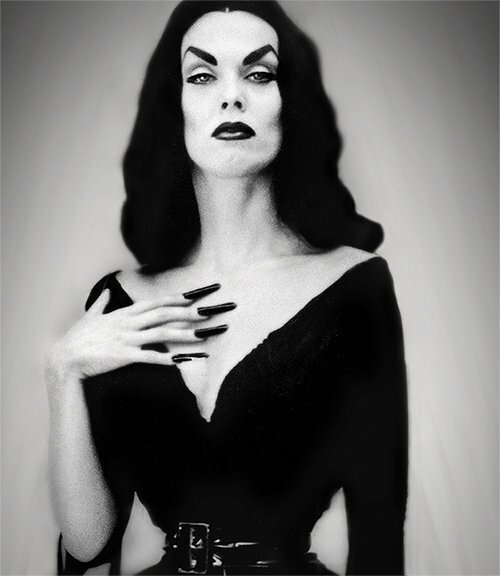 Vampira, also known as Maila Nurmi, made a namer for herself in the 1950s as the very first television Horror Host as well as through her work in film. Nurmi began her career as a model, working with legends such as Bernard of Hollywood, Alberto Vargas and Man Ray. She had some small roles in films and on stage but it wasn’t until television producer Hunt Stomberg Jr caught a glimpse of the dark haired vixen at a masquerade party all done up to look like Morticia Addams that Vampira came to be. Stromberg hunted down Nurmi after this party and offered her a job on his network. 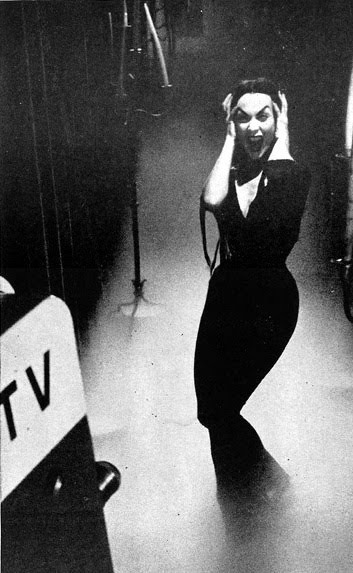 On May 1st 1954 The Vampira Show aired for the first time and viewers were entranced by the image of the tall, devious beauty floating down a dark, smokey corridor and then screaming into the camera. 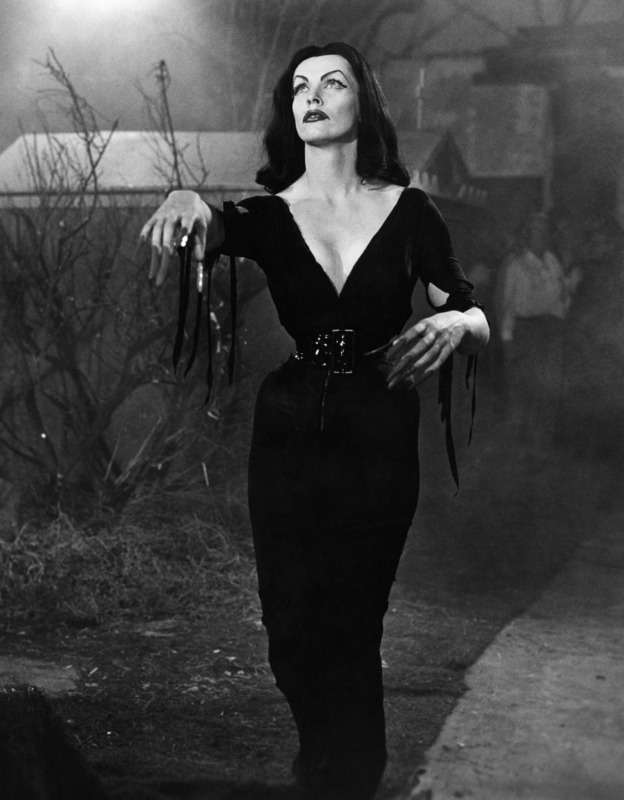 The show, in which Vampira, while laying on a Victorian sofa, would introduce and mock horror films, began increasingly popular and though it first aired at midnight it soon took over the 10:30 spot. 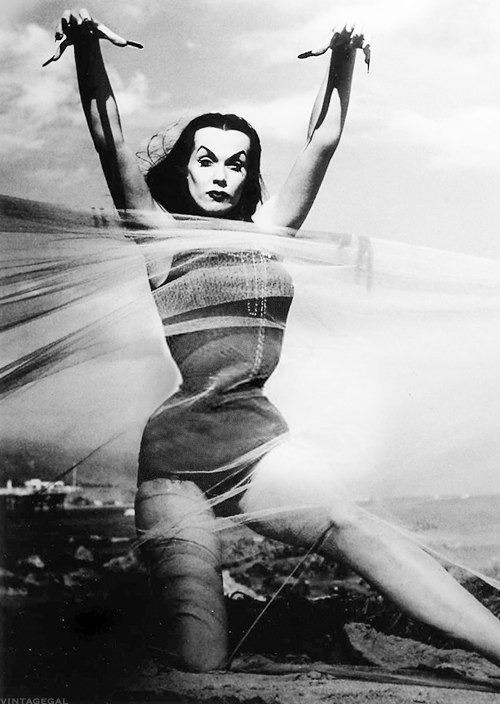 Though Vampira was nominated for an Emmy in the category of ‘Most Outstanding Female Personality’ in 1954, by 1955 The Vampira Show had been cancelled and Nurmi, still retaining the rights to the character of Vampira, took the concept to competing networks. 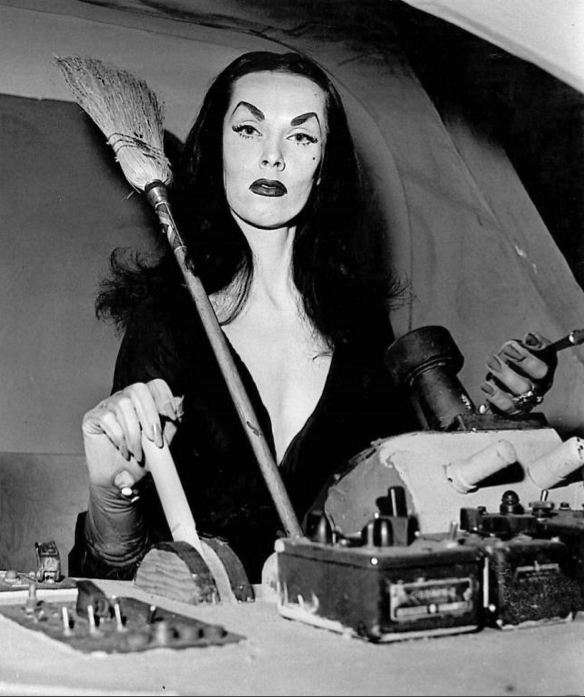 After her time as a horror host fizzled out Nurmi returned to the silver screen and stared in a number of movies, including the infamous Ed Wood film Plan 9 from Outer Space. Nurmi died on January 10, 2008 of natural causes. 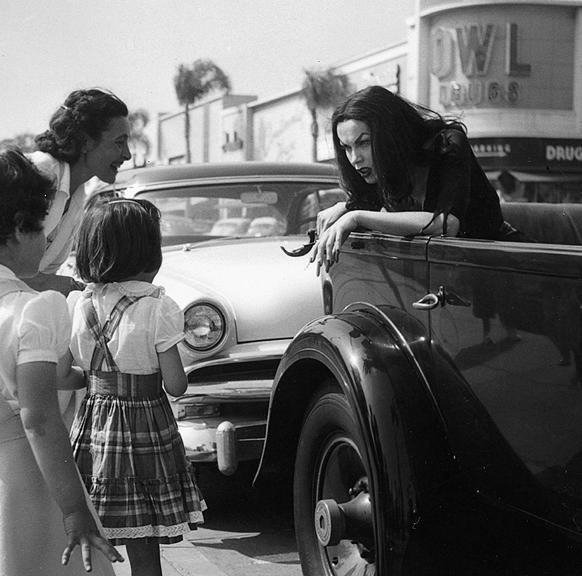 She continues to inspire generations of horror fans through her timeless works as Vampira.